This stunning Chinese black tea is among the finest in the world. Each spring the tea leaves are carefully plucked of only one leaf and one bud, resembling a monkey claw. 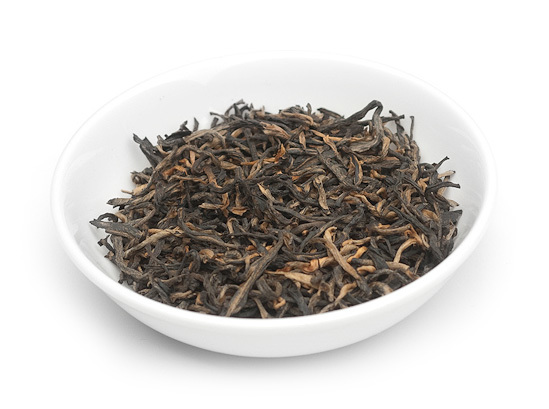 The beautiful twisted golden leaves yield a full bodied tea with a soft apricot finish. 50g bag only. This is a mighty fine Golden Monkey! It didn’t disappoint! This has the flavor you would expect from a Golden Monkey as well as a semi-chewy with the slightest bit of smoke hint that lingers on to the aftertaste! 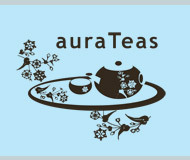 Plain, Simple, and Straight to the point…I haven’t found a tea from White August Tea Company that I haven’t liked! What a great tea from a great company! 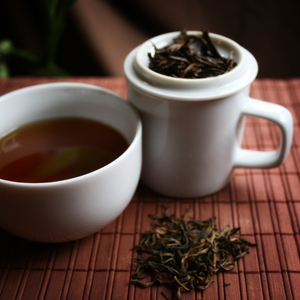 The golden tips of this black tea produce a complex peppery mellow yet malty flavor. 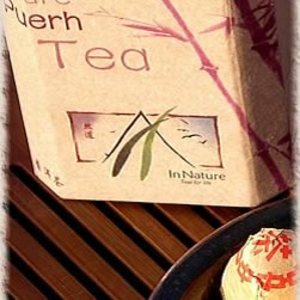 This full-bodied tea originates from China. The dry leaves are really beautiful. The picture provided doesn’t do them justice, they really are GOLDEN. But that’s nothing – just wait until you taste the tea that these golden leaves produce! As I mentioned on Steepster, the aroma of this tea evokes images of freshly baked bread. It doesn’t smell like baked bread, exactly, but the aroma has a way of bringing to mind the cozy comfort of a freshly baked loaf of bread. The flavor is sublime! It has a rich biscuit-y kind of quality to it. Chewy with a pleasing malty character. The flavor is hefty! This is the kind of black tea you want first thing in the morning! It has GUSTO! In the background, notes of fruit can be detected, with a forefront of delicate spice notes that hint of pepper. The finish is somewhat astringent (although it isn’t overwhelming), leaving the palate feeling refreshed. While this IS delicious as an iced tea, it is one that I recommend serving hot, because I think that the flavor of this tea is best experienced when hot. It has a mild sweetness to it, so do taste it before you sweeten. I found it to be quite delightful without sweetener but a tiny drizzle of honey won’t hurt it either. Gold Flake from East Pacific Tea Co. 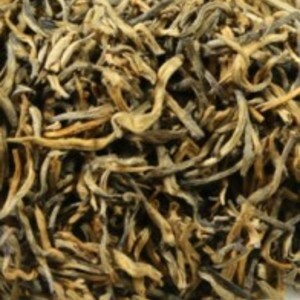 This tea is a treasure from the Yunnan province of China. Since it is grown high up in the secluded mountains there are only limited quantities of this rich tea available each year. 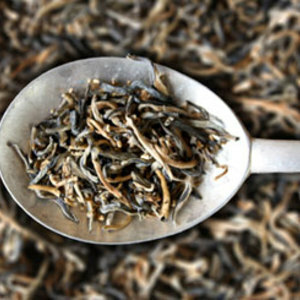 When you think of a black Yunnan tea, what immediately comes to mind? For me, these qualities come to mind: complex, full-bodied tea with a rich, bold flavor and deep notes of spice. The spice notes are there, but somehow they seem more enhanced – spicier, perhaps? Hints of pepper and even a slight nutty taste come through. There is also notes of earth and wood to the cup. Yes, this is a very interesting and complex cup of tea! The flavor of this cup is indeed rich and bold; well-rounded with a fair amount of astringency that is drying and even a little bit starchy. It has a sweetness to it that reminds me of sweet potato. What a beautiful Yunnan – every bit as beautiful as a flake of gold!